A fine cut glass chandelier for 20 Light Chandelier with 12 curved arms on the lower step and 8 curved arms on the upper step. 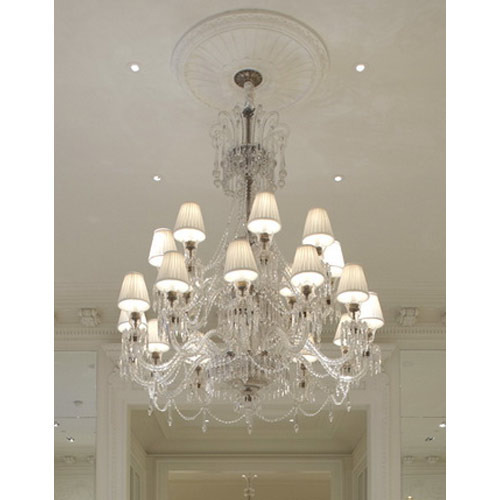 This magnificent piece is adorned with hand cut glass all around and festooned with drapes & beads. It will make an exemplary statement in any living room.